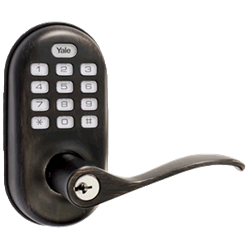 Yale is known for high quality lock hardware and their new lever style ZWave lock is no exception. It features motorized operation for true remote control as well as status updates when used with a compatible ZWave controller like VERA or Hometroller or software applications. The push buttons illuminate for easy night time and low light use. 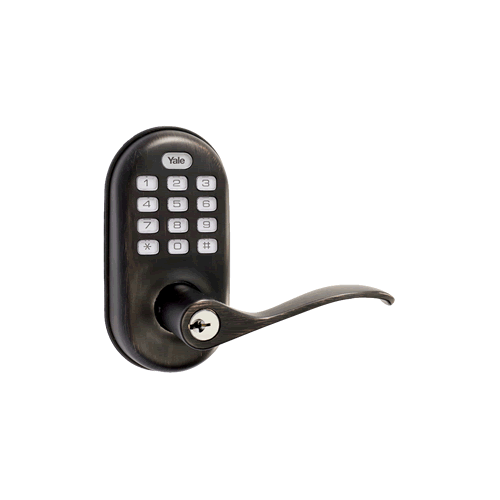 When enabled, a special lockout mode allows the user to prevent access using any user codes for extra security. Up to 250 user codes can be programmed when used with a Zwave system or it can be used standalone. Don't forget to add batteries to your order. Requires 4 AA batteries, not included.